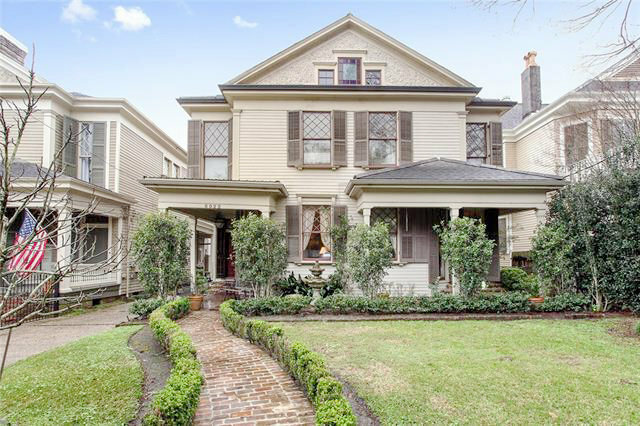 Grand Victorian located in Desirable Uptown Neighborhood close to Audubon Park! Original Heart of Pine Floors, Charming Architectural Details, High Ceilings. Most recently used as a Bed & Breakfast with 6 Bedrooms, 7.5 Baths and a 1 Bedroom 1 Bath Guest Cottage! All Bedrooms En Suite! Picturesque Rear Patio with Mature Landscaping. Delightful Property - Come See! 4,443 Sq ft Main House, 293 Sq ft Guest House.